I found this when I was unpacking some of my boxes. It is from 1981, the year I made my first bed quilt. This is the same fabric that I used for the embroidered squares in a nine-patch. I could embroider really well back then. I can't say that I can do lettering like this anymore. So, I fused it Mistyfuse to make a small wall hanging out of it. I figure it would like nice amongst my clothes line of prayer flags. First, I've finished 3 quilts using the felt and zig-zag and am working on the 4th! Thanks so much for the info. When I come out next weekend, my friend Stewie and I are taking the train into Los Angeles and going to the Fashion District! He beads (kumihimo) and since I quilt he says there are tons of fun shops there. Do you have a favorite one we shouldn't miss? He says there are all kinds of fabric and notions stores but doesn't know if any carry batiks. I'm not sure what to expect but know I'll find some treasures! That embroidered piece was "resting" in that box for a reason. 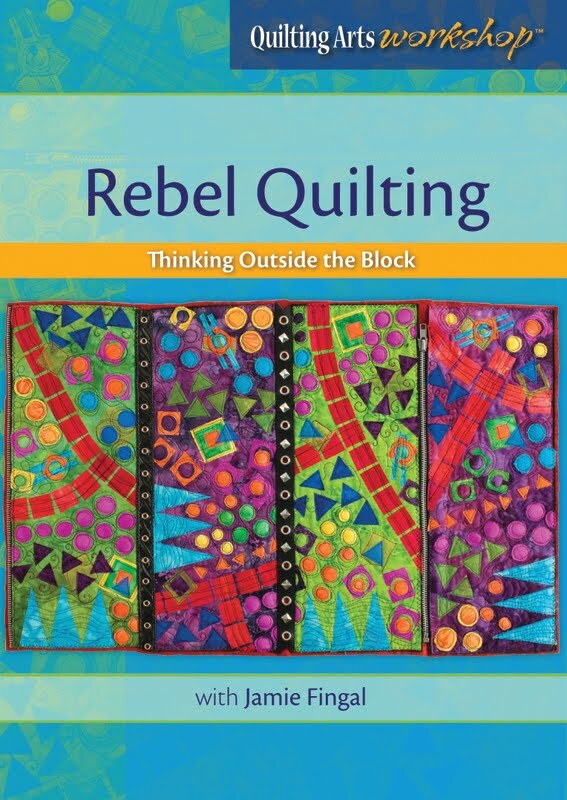 You are a different quilter than you were then. It would have gotten a plain label and it would have been PLAIN. Now it got that fabulous pieced border, but you didn't stop there!!! The vines, flowers and machine stitching MAKE IT. It is a great 30 year quilt. Oops, I meant that it would have gotten a plain BORDER all those years ago. 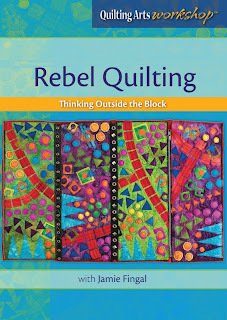 I started quilting in 1985 and have changed so much. Still not as loose as you, but trying.